More and more people are realising that there is more to reality than the physical world, and are asking "what is the Universe" in reality? The question should more appropriately be, Who is the Universe? In normal circumstances most people perceive, understand and interact with their surroundings, the material world, exclusively in terms of the five physical senses; sight, hearing, smell, taste and touch. These senses are usually and quite understandably accepted beyond question as the only source of sensory feedback for everyday existence in what is commonly believed to be “reality”. This is true to such an extent in fact that unless something tangibly conforms to one or more of the five physical senses it is usually deemed not to exist at all, or might simply be considered to be an “illusion” or perhaps simply a “figment of the imagination”. To most people the only notable exception to any extra-sensory existence is the perception of the “God” or Gods of the various world religions and belief systems, generally accepted by most people without question as existing beyond the perception of the five physical senses. Accordingly, belief in such a God or Gods has become a complete act of faith, maintained only by the orthodox religions of the world. In the context of asking the question "what is the Universe" we also need to look at this in the context of religions. Religions endeavour to teach their congregations how to live their lives and worship their particular God or Gods in accordance with a “belief system”, often based upon the teachings of their various “books” or bibles. At the same time, a wholly materialistic outlook of the world often causes people to think and live from an exclusively materialistic perspective, in turn resulting in a sense of “separateness” from the Universe and indeed from each other. These factors in turn cause many people to place their primary emphasis on temporal, material objects as if they are all that is meaningful in life. As a consequence the mission of the many is to gather as many such material and monetary possessions as possible during the course of what is generally perceived to be an only “life”, very often in order to increase perceived levels of comfort and wealth, and, urged on by the influence of the ego to “keep up appearances” among peers, friends, neighbours, work friends, relatives and others. This situation has contributed in no small degree to the state of the world as we witness it today, with a gross imbalance existing between those who have vastly more than they could ever genuinely need for daily purposes, and those unfortunate people who have little or nothing, often having to exist each and every day in abject misery and suffering as if it were their last. With this sad state of affairs, today we often see a world where greed, dishonesty, avarice, hate and sometimes violence exists side by side with fear, poverty and suffering. For a very long time the entire world has been in the grip of a major imbalance, an imbalance that has not only been escalating over the decades but indeed now threatens the entire immediate future of humanity and indeed the entire planet. Mankind is directly responsible for this state of affairs, bought about by the gross misuse of the very freewill granted by our Creator. Accordingly only mankind can now reverse this situation and bring about a state of harmony, peace, happiness and balance for everyone, the “kingdom of heaven on Earth”. Although the true nature of the Universe has been known and taught throughout the ages by many and varied sources throughout the world, all of which are highly consistent and in broad agreement, it is also now being substantiated by the work of modern quantum physics, and increasingly by other branches of the sciences as well. All areas of the sciences will surely soon have to accept the fact that true Universal reality is not and never can be based entirely in the familiar three-dimensional world of physical matter as has been assumed since the days of Isaac Newton, but is rather an infinite, multi-dimensional reality, a Universe of living Consciousness of which everyone and everything without exception is an integral and equal aspect. 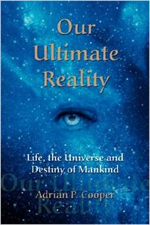 The true nature of the Universe will certainly challenge the perceptions of most people, if for no other reason that throughout the ages there has been a prevalent misperception of a “God” who is completely separate from everyone and everything else in existence, and who “rules” over “his” three dimensional world of matter from high places. Mankind has always perceived the three dimensional Universe, and in particular the physical world of matter as “reality”. It will surely be equally evident to most people however that beyond the perceptions of the five physical senses there must surely be a much more substantial reality. Throughout time mankind has contemplated and attempted to define the nature of this substantial reality. Often substantial reality has been considered to be the three dimensional planet on which we live. In other cases substantial reality has been identified by, and attributed to the name of a deity or deities. But however mankind considers its own particular concept of substantial reality of one thing most everyone agrees; such a substantial reality certainly exists beyond the limitations of a world perceived only by the five physical senses. 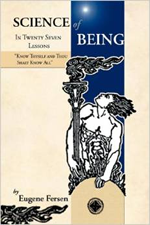 Over the course of many thousands of years, from the dawn of intelligent man, the reality of what is the Universe has been taught throughout the world by a variety of Beings whose mission it is to teach these matters mankind. These Beings range from highly advanced Spiritual intelligences of the inner spheres of life, to great Masters, often ascended human beings who have from time to time have incarnated on Earth in order to teach mankind the Universal truths and direction required for every human being to fulfil their ultimate destiny as immortal Spiritual beings travelling the sacred path back to our prime Creator, to God. Some of the greatest of these teachers did become very well-known and performed an invaluable service to humanity, alas however over the millennia these teachings have often been drastically distorted and misunderstood, and in some cases even became the basis for orthodox, dogmatic religions. Fortunately however the truth is both one and eternal, and over the course of thousands of years has survived in cultures throughout the world where it still lives on today, ready to finally reach a much wider section of the human race, ultimately resulting in a global expansion of Consciousness where true purpose and destiny will be an integral aspect of the lives of everyone.